On Feb. 27 students at Stevens Point Area Senior High (SPASH) took the ACT. The ACT, American College Testing Program, is a series of exams which are used for college admission in the United States. In 2016 Wisconsin passed an act getting rid of required standardized testing and replaced it with the ACT. The ACT is used to measure students’ knowledge and skills in reading, language arts, mathematics and science. More tests are scheduled at SPASH on April 14 and June 9. 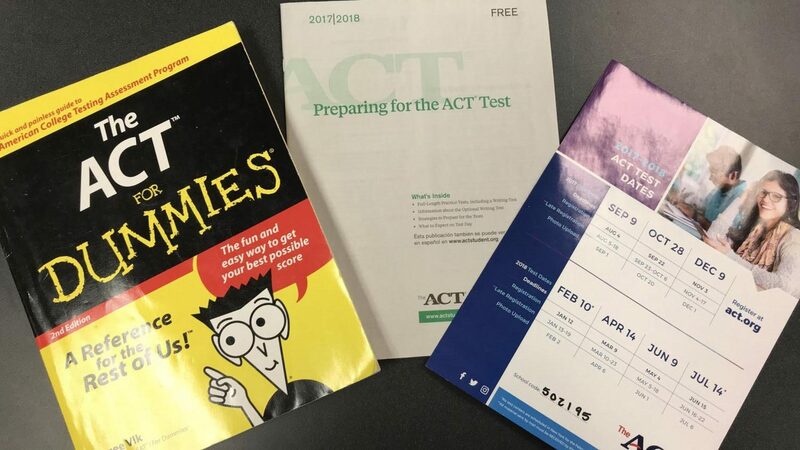 Students who missed or would like to retake the ACT can go to act.org/ to preregister. Test dates, times, locations, etc. are provided when registering. Resources are available for students who wish to improve their ACT scores. The information is very good and it answers questions that people may have. Also, I love this headline so much! I loved the quotes in this article! I remember taking the ACT last year and how stressful it was. This piece gave a lot of good information regarding how to sign up and what to do if a date is missed. Very good piece Hannah! This is very informing to those who are unsure what the ACT is all about, also good quotes! Hello, Hannah! I’ve just read your article and I really liked it because I long wanted to know more about THE ACT. The article is very informative and full of different opinions about the test so it is interesting to read. How I can see, you, Hannah, really want to help those students who missed or would like to retake the ACT so you include information about web-site for preregistering. Good job! I LOVE THIS!!!! So awesome. Best one yet. Super cool. Please keep making more stories. This was fun to read, I like your catchy title! I enjoyed reading this article, even though the ACT can be a frustrating topic. The title is what caught me eye. I have to take the ACT this year and I am super nervous about it. Hopefully, I don’t do so bad and will definitely start studying a month ahead.